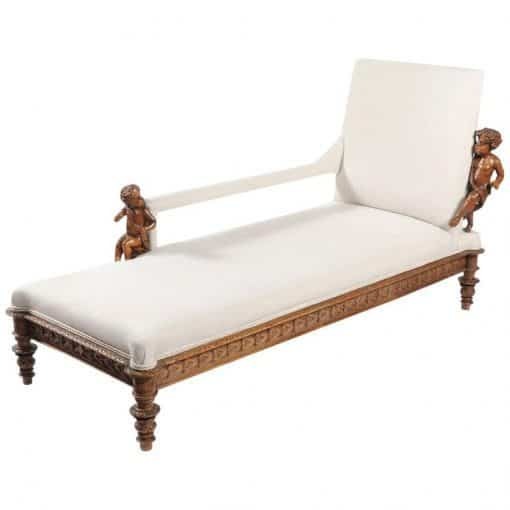 A beautifully detailed Continental carved walnut daybed in Renaissance Revival taste from the late 19th century. 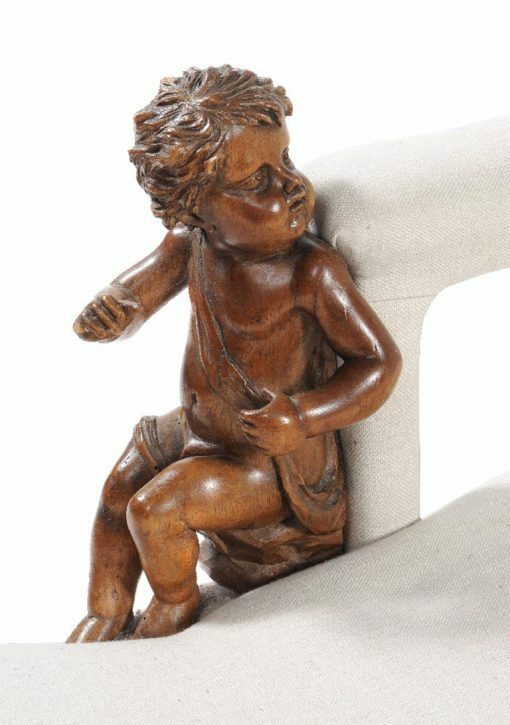 Having a nicely detailed pair of carved putto looking across at each other. 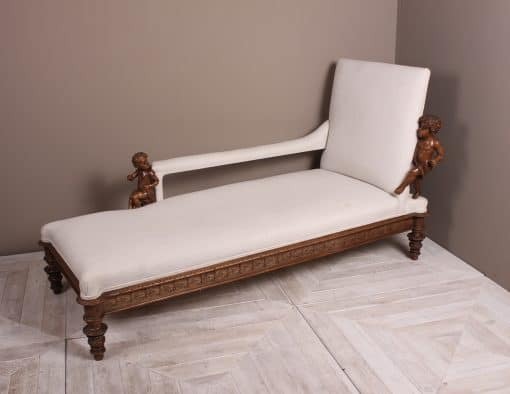 The rectangular seat above a molded and scroll carved frieze, the turned, guilloche and acanthus carved legs surmounted by terminals incised with depictions of dragons. 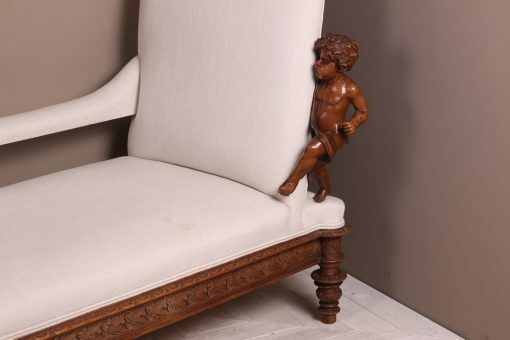 The recent upholstery is nicely finished with double piping. A rare and beautiful piece of antique furniture which is sure to make a perfect centerpiece for any room. 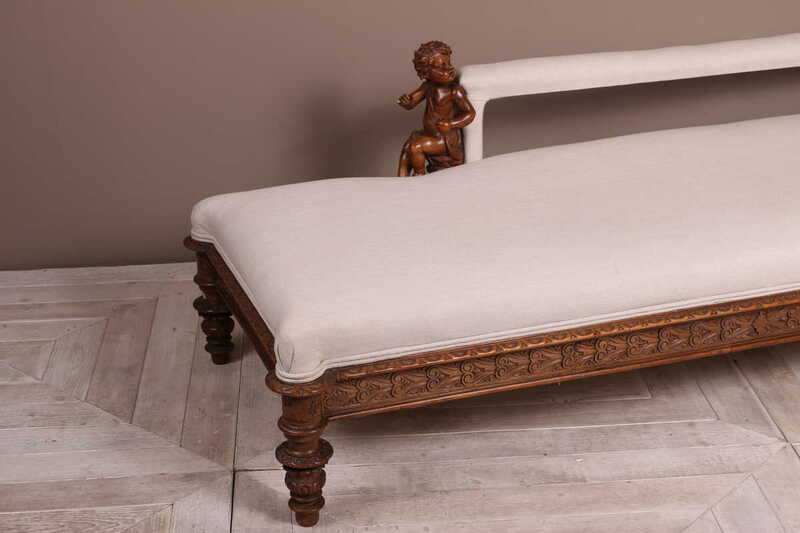 Condition: There a few light spots to the backrest as shown in photos, we will endeavor to remove them. There are nibbles and losses to a couple of the legs commensurate with age as shown in the photos. Dimensions: 100cm high, 183cm long, 80cm deep overall.